A February half-term holiday is the perfect way to beat the winter blues. Give yourself something to look forward to through the winter months by booking a self-catering holiday in one of our superb cottages, lodges or caravans. Whether you're looking for a cheap half-term holiday or something more exclusive, we can help. In 2019, February half-term in most places is 18th February to 22nd February. Although spring will be just around the corner, in February you still get those lovely, crisp, cold yet sunny days that are made for walking on the beach or in the woods. Wrap up warm and a memorable break will be enjoyed by the whole family. Many of our properties are dog friendly so don’t forget to bring the family pet with you. Many beaches are open for dogs at this time of year. Par Sands beach allows dogs all year and is a fantastic place to let . We are the exclusive booking partner for Par Sands Holiday Park, which is right on the beach and also has an on-site adventure playground and indoor heated pool. Your children will appreciate a break after working hard at school since Christmas. A February half-term break should see them return to school refreshed and full of energy. Holiday cottages book up quickly for February half-term, so we recommend booking early. As the weather can’t be relied on, it’s good to be somewhere with a helpful mix of indoor and outdoor attractions. You will want to take full advantage of the beach and countryside walks on the dry days, but on other days there need to be some indoor things to do. Cornwall is great for this. 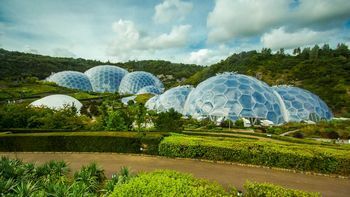 If you are staying at Par Sands, the Woodland Lodges or the villas at Trewhiddle, then an obvious place to visit is the Eden Project. If you’re interested and would like to know more, we’ve written our own guide to visiting the Eden Project. 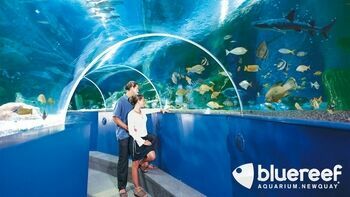 For those who have booked one of our Fistral Beach properties, we can recommend the Blue Reef Aquarium in Newquay. You’ll find 40 themed habitats and an underwater tunnel to help you come face to face with exotic fish, turtles and other marine creatures. 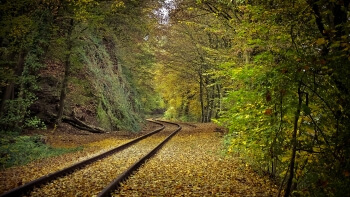 Mennabroom Farm Cottages near Bodmin are perfect for a visit to the Bodmin and Wenford Railway. Experience a Cornish branch line of the 1950s as you travel the 13-mile round trip through beautiful Cornish countryside. Bodmin Jail is also an all-weather attraction. This was once a civil and naval prison, and now houses a museum over 6 levels. You can find out all about the history of the Cornish jail and see the only working execution pit in the UK. There are also some excellent restaurant and bar facilities here. The Castle Bude is not far from Pentire Coastal Holiday Park. The Castle is home to The Heritage Centre, Café Limelight, two galleries and a gift shop. Explore Bude’s history, enjoy a regularly changing exhibition programme, and relax over drinks, light lunches or cakes. The large dog-friendly decking area is open all year. The National Trust has a huge range of properties across Cornwall and many make a great February half-term choice. There are some wonderful houses and gardens to visit. Most have cafes and gift shops, too.